The BEST, and I mean completely beyond compare, hot chocolate I’ve ever had was during Carnival in Venice. The thick Italian hot chocolate is so dense that it verges on being a pudding, and Carnival in Venice is where I first tasted it. 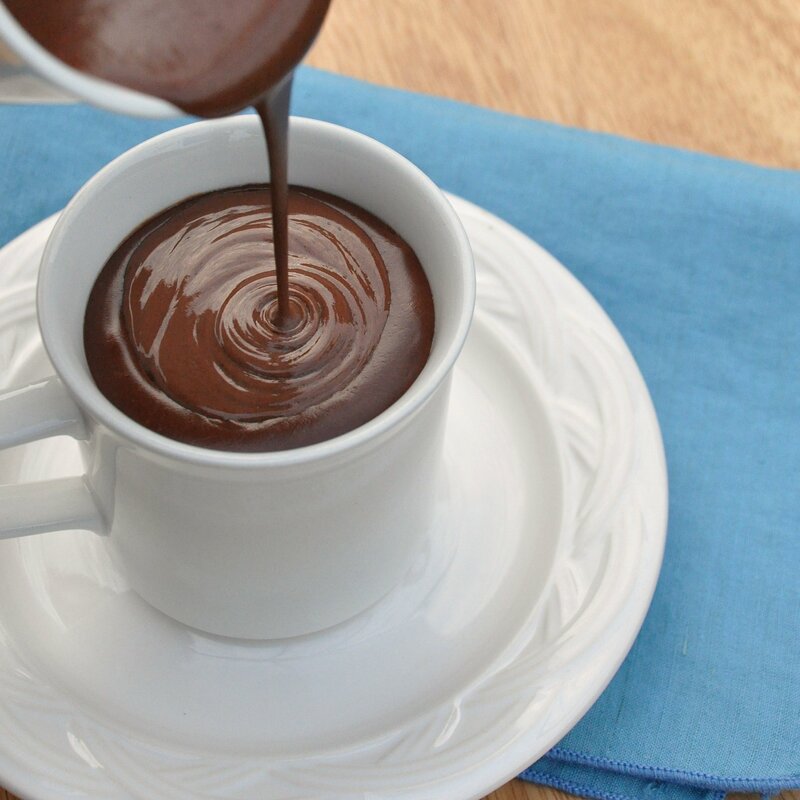 This hot chocolate is so dense, decadent, soothing and an extra special treat. For me, it is forever tied Venice and my very first experience at Carnival in Venice. We arrived in Venice late in the evening, a few days early for the last weekend of Carnival. The only two people on the vaporetto going Venice seemed like a ghost town. This was also my first non-summer visit to Venice. The low, thick and damp mist and the silence of the city covered any other proof of life forms. As our vaporetto puttered along, it felt more like we were riding on the river Styx being taken to another world. The next day Venice had transformed into something else altogether. Dark and damp made way to lights and festivities. From early in the morning to late in the night, the streets were filled with elaborately costumed and masked party goers. Costume-clad party goers gladly stopped for anyone asking to take a photo. 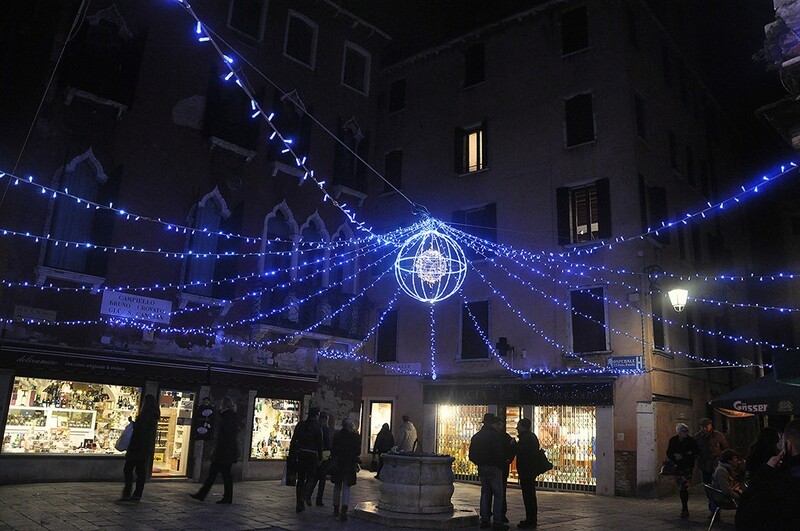 As we wandered through Venice, locals offered us mulled wine and fried treats. Saint Mark’s Square was celebration central, and a grand stage was set up for the many costume parades and shows that took place day and night. Strings of lights decorated the narrow calle around the square. At night, the lights twinkled overhead and danced below in the waters of the small canals nearby. Venice in Winter is also COLD, bone-chilling cold. Since our days and evenings were mostly spent outside enjoying the festivities, we constantly felt an achy-bone cold that was virtually impossible to shake. That is until we found a cafe near Saint Mark’s to hide from the cold and warm up. We ordered this Italian hot chocolate only because it seemed the best thing to help warm us up. BEST. Surprise. EVER. We got the all-time best, dense, dark, hot, decadent, creamy hot chocolate. The menu was filled with at least 15 versions of hot chocolate – dark chocolate, milk chocolate, white chocolate, with any kind of liqueur that you wanted, etc. etc. At the time we were both living in Paris, so we were more than familiar with the hot chocolates of Angelina, LaDuree, Cafe de Flore, and the rest, but this was oh so different. Instead of drinking it, it was so thick you could almost eat it with a spoon. Almost that is, it was still creamy and fluid enough to drink, and we drank in the hot and creamy chocolate, again and again. During the weekend, we made more than once-a-day stops at the cafe, so many I think my friend sampled every version on the menu. I mostly stuck with the dark chocolate version. After we returned, I did some research to find that this quasi-pudding drink was the typical hot chocolate of Italy. You can find it in any cafe in Italy during the winter. I’ve since found it even in France and Prague, going by the name of “Italian hot chocolate” on menus. The secret is to use a little bit of cornstarch to thicken it. Some places will use cocoa powder and more cornstarch, but I prefer this melted chocolate and cream version. Using the best quality chocolate is also key. This hot chocolate always takes me to Carnival in Venice. With each sip I think of Venetian masks, elaborate costumes, frittelle (Venetian fritters for Carnival), parades, and the lagoon in winter – misty and magical. Below is my recipe for Italian hot chocolate. 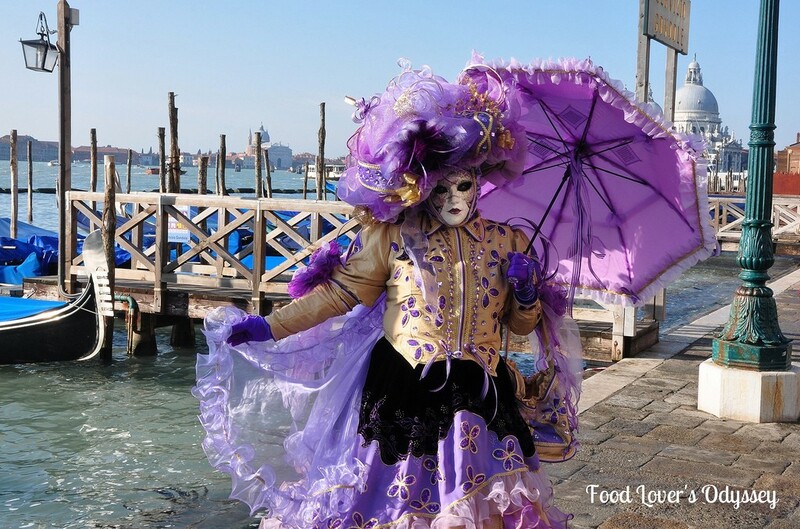 Carnival in Venice is the two weeks before Ash Wednesday. It changes yearly and is based on the calendar used to determine Easter. The cafe where we had our first Italian hot chocolate is in Campo St. Stefano. It has yellow tablecloths and dark wood trim around the entrance, and no name other than Cafe. 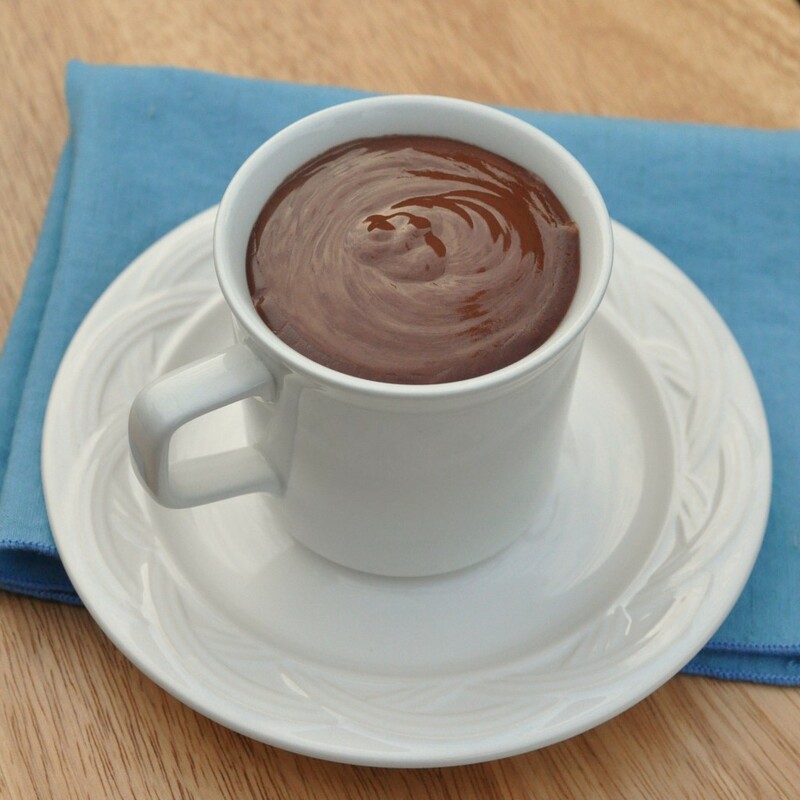 As of February, 2014, they still serve several variations of this thick, delicious and decadent hot chocolate. Combine the 3/4 cup milk, cream and sugar in a saucepan and heat until it starts to bubble around the edges. While the milk mixture is heating, whisk together the 1/4 milk and the cornstarch until it is smooth. Once the milk mixture starts bubbling around the edges, add the milk and cornstarch mixture to it and whisk until it’s heated through. Add the the chocolate and whisk together until it’s smooth, hot and thick enough to coat a spoon. Pour into mugs and serve with whipped cream if desired. Enjoy! NOTE: If you’d like a little liqueur flavor add 1 1/2 tablespoons of your favorite liqueur to the hot chocolate right before pouring into your mug. I love Baileys Irish Cream or Kahlua. That is one rich cup of hot chocolate. Could you have it any other way now? I am in love. Cristina – Yes, In my humble opinion Carnevale at Venice is something someone should see at least once in a lifetime…..I’m hoping to be fortunate to go back a second time in 2011….we’ll see. Claudia – No, I can’t have it any other way now. I made this hot chocolate for my aunts. When I told them I was going to make hot chocolate, one said, “Oh, I have some hot chocolate packets in the cupboard.” I just laughed and told her once you’ve tried this you’ll throw those packets away. I am that Aunt who said, “Oh, I have some hot chocolate packets in the cupboard.” Fool that I am. There is no comparison. I first tasted it without any liqueur and later on I added a drop or two of Baileys Irish Creme. Either way, it is a standout. You all should try Kathy’s recipe. You will love, love, love it. This is a perfect place to post a quote I recently saw on a card: “Whatever the question is, the answer is chocolate.” Pour me some!! I first tried this type of hot chocolate in Barcelona. I’d ordered it expecting a regular milky cocoa drink and when it arrived that hot chocolate made my day, became a highlight of my holiday. 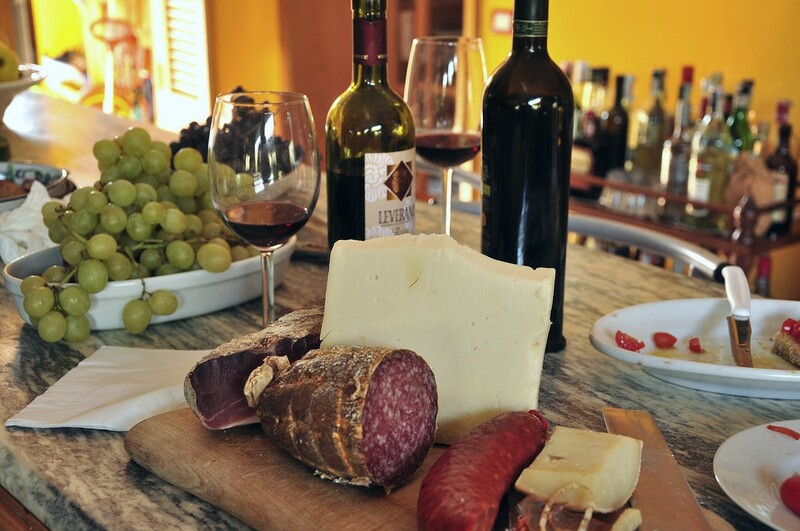 Thanks for the recipe, it’ll be perfect to sip on while I’m stuck inside with this wintery weather! Fantastic! Beautiful photos, especially the chocolate one. Sinful. I love those Venetian masks. The two semesters I lived in Italy I didn’t get a chance to go to Venice;my attention was turned southward toward more ancient ruins. Thank you for the photos of what I missed. Ha ha..I love Paula’s quote – the answer pretty much is always chocolate for me! 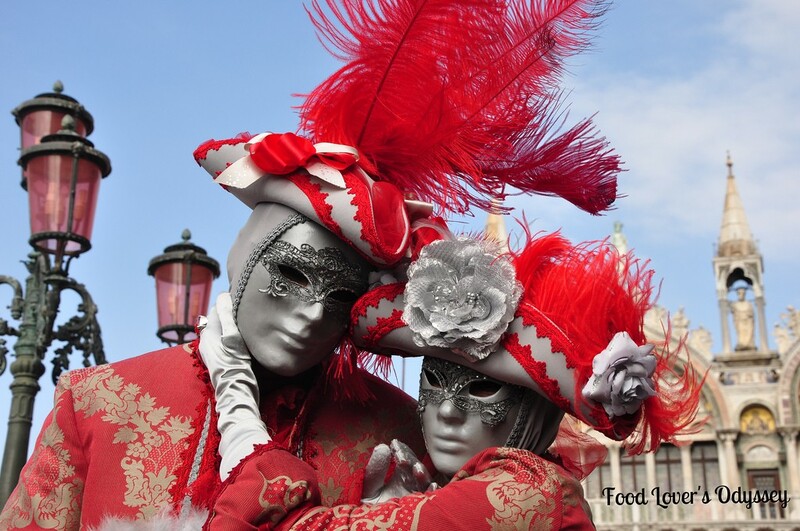 The carnevale atmosphere sounds so festive – think it’s really one of those must-do travel events. And I do imagine Venice is very, very cold during this period – I’d be dipping in for one of those hot chocolates myself. Looks divine! I picked up some Baratti & Milano hot chocolate packets at Castroni in Rome, but don’t think they’ll be as good as the one you had in Venice. I’m going to try adding the heavy cream…and maybe just a touch of liqueur :) should do the trick! Merci for the great post.. 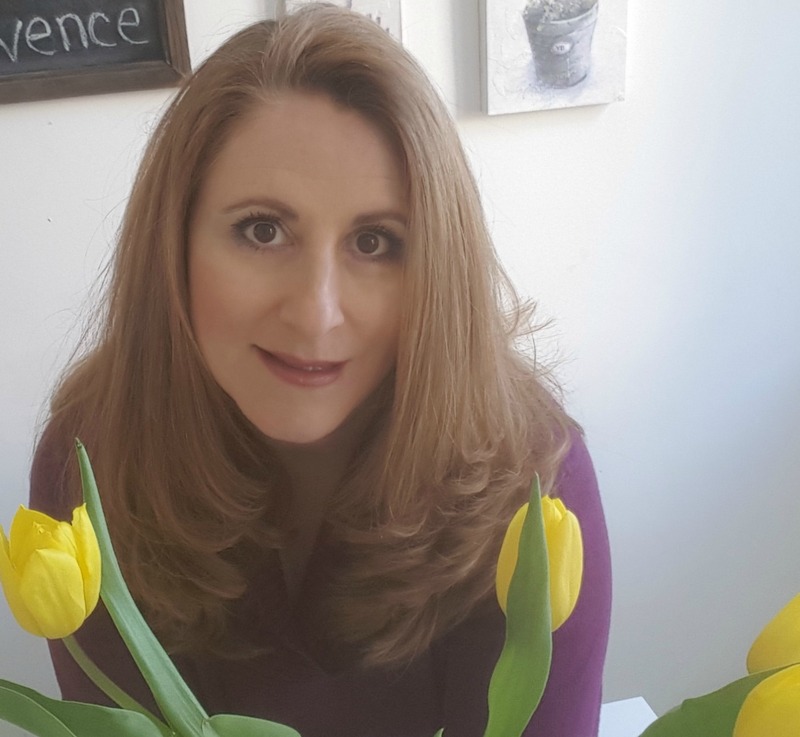 Beautifully written, Kathy :) Brava! Ah yes. In 2005 when me an my wife went to venice for New Years, I remember that Cafe. Just as you said, everyday we stopped to savor the hot chocolate. Can’t wait to try your recipe.